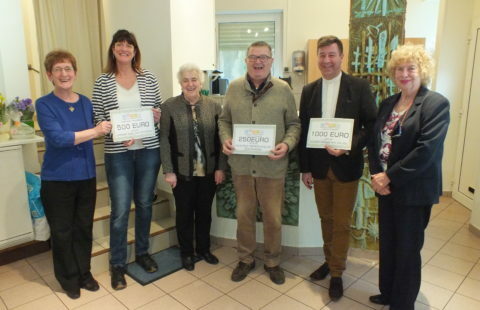 AXA Atout Coeur donates food to Stëmm vun der Stroos. Altogether 100 boxes of food and 25 blankets have been delivered to the site of Bonnevoie by AXA Atout Cœur. As a responsible corporate citizen, AXA strives to play a positive role in society, by building a culture that promotes employee volunteering to support the communities in which we operate. We are also committed to sharing our business expertise by helping to build better understanding of the risks faced by individuals and society at large. 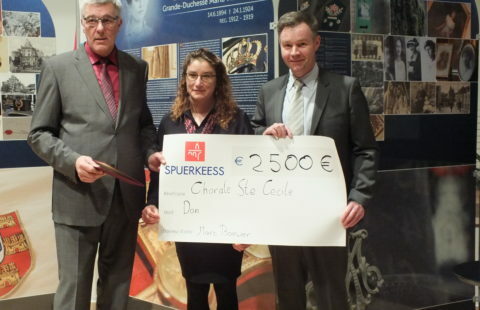 This deed is part of the fight against food waste led by the Stëmm that has been cooperating with the supermarket Auchan since 2009 in the framework of the project Stëmm Caddy. Each month, the supermarket takes 8 tons of food from its shelves so that they can be processed at the site of Bonnevoie by a team of 20 people that take part in a professional reintegration program. Afterwards, the food is distributed at the sites of the Stëmm (Hollerich, Esch/Alzette, Schweesdrëps and Schoenfels) as well as at the social institutions. As a reminder, 258 people are received on a daily basis at the social restaurant of Hollerich.